With the growing season winding down, it is time to think about which varieties you would like to save for next year to plant. This issue will look at why we go to the trouble to save seeds and the best practices for saving seeds. When you find a variety that is doing well, you may want to save the seeds so the performance and or attributes can be repeated. You may also find a need to save the seeds due to the availability of that variety. As our culture tends to plant more mono crops and utilize less variations in the plant world, we are finding that variation is getting harder to come by. You can find variation with hybrids, but you will not get an exact duplication from the parent. 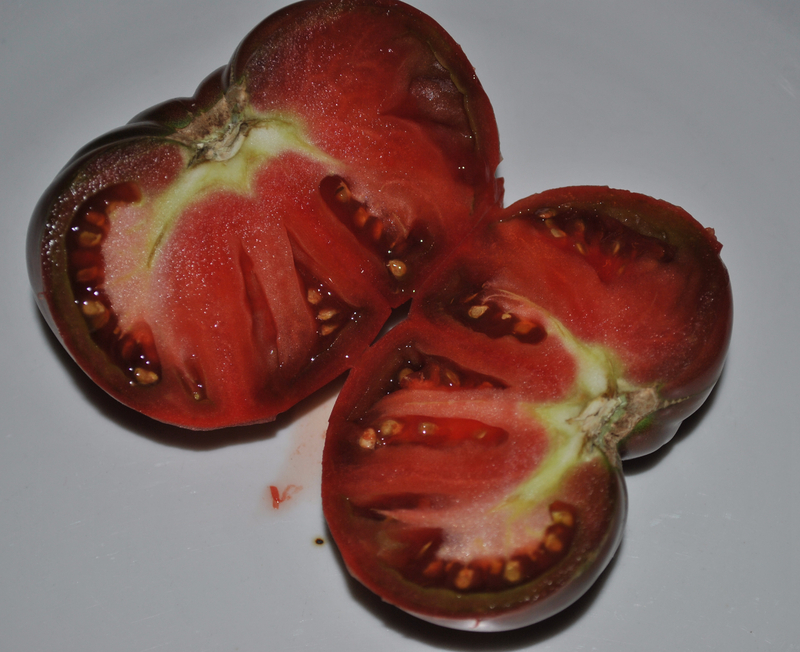 Heirloom and open pollinated varieties will provide true-to-type seeds but not hybrids. 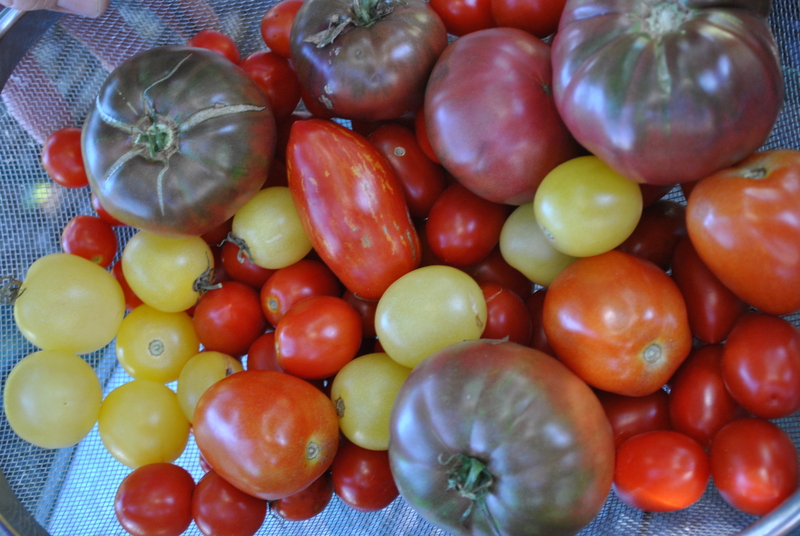 Our heirloom varieties are becoming very hard to come by. Heirloom varieties provide a historical link to how food was grown in the past and they provide flavors that are not common in the grocery store and have become popular with chefs and food lovers. An heirloom variety is a plant variety that has a history of being passed down within a family or community, similar to the generational sharing of heirloom jewelry or furniture. An heirloom variety must be open-pollinated, but not all open-pollinated plants are heirlooms. By choosing open-pollinated and heirloom varieties, you have the ability to help conserve biodiversity and to contribute to the stories behind our seeds. Heirloom varieties provide a historical link to how food was grown in the past and they provide flavors that are not common in the grocery store and have become popular with chefs and foodies. In antique stores, we’re drawn to old maple rockers, ornately carved oak mantelpieces or delicately hand-painted china not just because of their form or materials but for the sense of history that clings to them and the way they warm the imagination. They make us wonder about the hands that have held them and the people whose lives they have passed through. That’s true of heirloom plant varieties too. To the gardeners who love them, it matters that ‘Mortgage Lifter’ tomato came from a man who bred his own tomato plants, selling enough of them to pay off his mortgage. At estate sales, you encounter styles far beyond whatever is the standard fashion today. So, too, heirloom vegetables offer a spectacular range of flavors and shapes. They may be more tart or more sweet, green instead of supermarket red, long instead of the standard oval, ribbed or striped rather than smooth. Often they have a depth and complexity of flavor you would never find at the grocery store. What is an “heirloom”? The definition is open to dispute. But the term is usually applied to fruit, flower or vegetables varieties that were being grown before World War II. Back then, what we now call “organic gardening,” based on manure and mulch, was standard practice for home gardeners, who accepted risk and variation from weather and disease just as farmers had to. 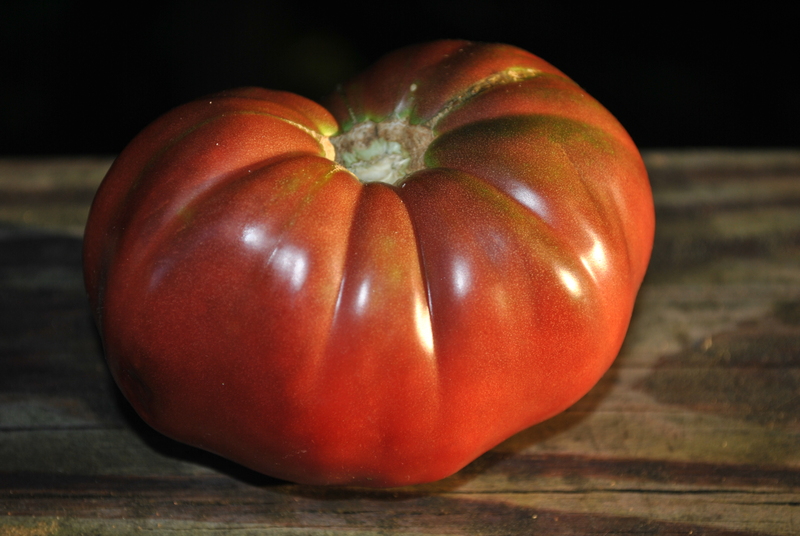 From the 1950s to the 1970s, hybrids dominated the commercial vegetable market, and the older varieties became hard to find until a growing interest in cooking and food sparked a resurgence of the more flavorful heirlooms. 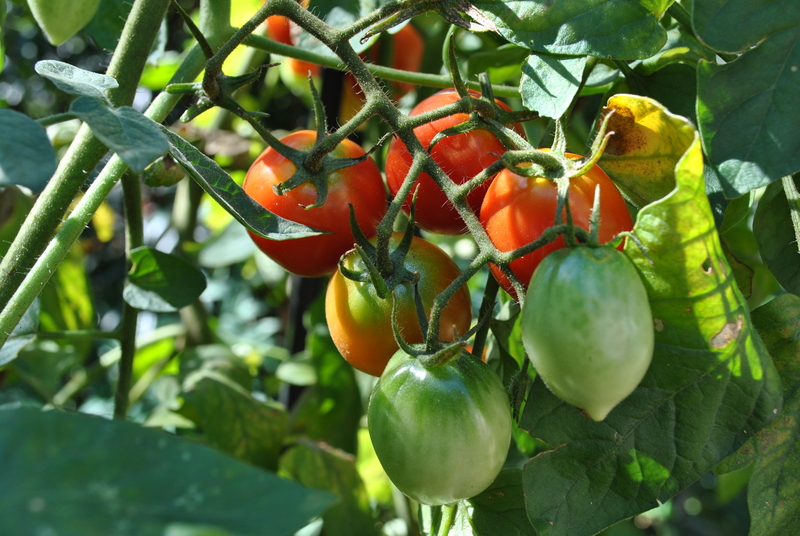 Heirloom varieties are open-pollinated–meaning that unlike hybrids, seeds you collect from one year will produce plants with most of the characteristics of the parent plant. And that’s key to their survival. Now the how to save seeds procedures and background. After you’ve given your plants the help they needed to produce healthy seeds, you must harvest and store the seeds properly to keep them healthy until you are ready to plant them. How you treat your seeds during harvest and storage can have a large impact on their viability and vigor when planted. For best results your seeds should be harvested at the right time, properly cleaned and dried and then stored under conditions favorable to their long-term health. Seed harvesting and cleaning techniques fall into two main categories according to whether the fruits and seeds are dry or wet when mature (actually, a third category exists of seeds which will die if dried out after maturing. ‘Dry’ seeds include beans, okra, peppers, basil and members of the Onion and Carrot Families. Cleaning dry seeds usually involves simply drying and crumbling the pods or husks, then screening or ‘winnowing’ the seeds to separate them from the chaff. ‘Wet’ seeds are found in such plants as tomatoes, eggplants and many squashes. Cleaning wet seeds requires washing to clean the seeds and to separate them from the surrounding pulp. In addition, in some cases wet seeds (such as tomatoes) are best fermented for several days to remove germination-inhibiting substances from the seed coats. Fermenting can also help such seeds as members of the Squash family by killing molds, mildews and other disease organisms that may be present on the seeds after growing. Some families (such as the Cucumber family) include some plants that produce wet seeds (e.g., squashes and melons) and others that produce dry seeds (e.g., luffa and hard gourds). See Seed Saving Instructions for Common Vegetables for details on whether a plant makes dry or wet seeds, and whether its seeds must be fermented before cleaning and drying. Harvest dry seeds from their plants when their pods or husks have dried. Some seeds can be picked before they are fully dried on the plants if rains threaten. Other plants, however, (i.e., Mustard family), will not finish ripening once they have been removed from the plant. 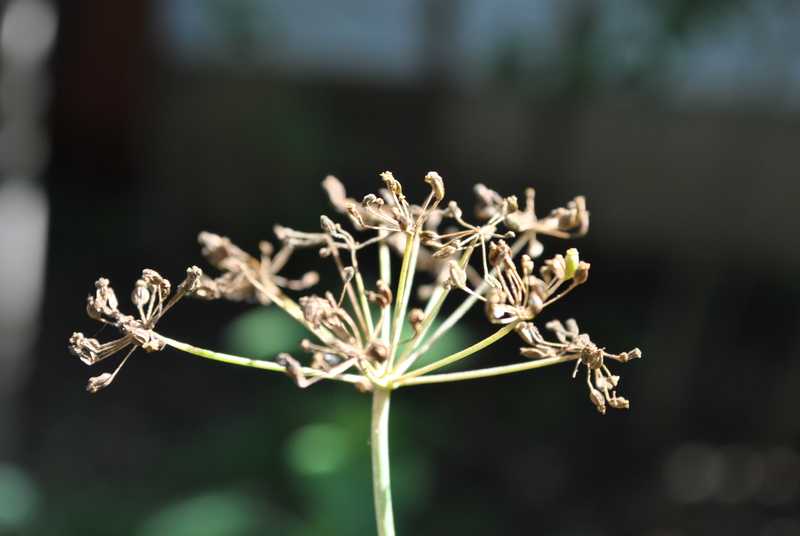 Leaving seeds on the parent plant to full maturity and dryness is always preferable. Once pods or husks have been harvested, store them in a dry place and wait until they are thoroughly dry. When the pods or husks are dry enough they will easily crumble between your hands. Crumble the pods or husks until all the seeds are released. Then place seeds and chaff in a bowl or box and swirl or shake gently. Most of the larger chaff pieces will rise to the top and can simply be removed by hand. Seeds and finer chaff are easy to separate by a variety of methods. One way is to use two screens of varying mesh, one a little smaller than the seeds and the other a little larger. The first screen lets anything smaller than the seeds fall through, and the second lets the seeds through and stops anything larger. Another method of separating seeds and chaff is to roll seeds down a gently sloping board, leaving chaff stranded near the top of the board. This simple method works well with round seeds, but is basically useless for flat seeds such as squashes. A very ancient method of cleaning seeds is called ‘winnowing.’ In a gentle wind, drop the seed/chaff mixture from a height of several feet into a bucket or onto a sheet or tarp. With a little skill and some cooperation from the wind (a fan in an enclosed space can be used for better control), seeds will fall into the bucket or onto the tarp while chaff blows away to one side. Another, very simple way to winnow small quantities of seeds is to swirl or gently bounce the seeds and their chaff in a shallow bowl while carefully blowing chaff away with your breath. It’s a good idea to do this over a cloth or newspaper to catch seeds blown out of the bowl with the chaff. These can then be hand-cleaned or planted. Wet seeds are easy to clean, though some need the additional step of fermentation. Seeds which require fermentation should be cleaned after—notbefore—fermenting. 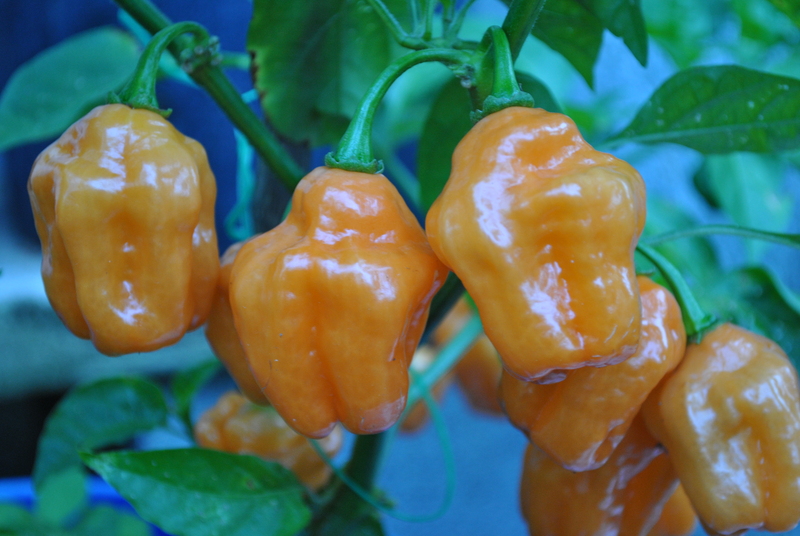 Allow the fruits to fully mature on their plants before harvesting. See Seed Saving Instructions for Common Vegetables for details on how to judge when seeds have fully matured for particular varieties—in many, the fruits will be well past the eating stage. To clean wet seeds, scoop the seeds from the fruit, pulp and all. Pour the seeds and pulp into a large, sloping bowl and add water. Healthy seeds will sink to the bottom of the bowl, while dead seeds and most of the pulp will float. Use your fingers to gently separate all the seeds from the pulp. Then, to remove the pulp and dead seeds, carefully pour the extra water with the floating pulp and dead seeds from the bowl. Pour quickly enough for dead seeds and pulp to pour off the top, and slowly enough so that the heavier, good seeds remain safely on the bottom. By repeating this rinsing and pouring process several times, the seeds can be gotten very clean (getting seeds as clean as possible helps to keep them from sticking to whatever surface you dry them on). To initially dry your seeds after cleaning, drain them of excess moisture in a strainer. Pat the bottom of the strainer with a cloth towel to pull extra water from the seeds after they have drained. Then spread the seeds on a piece of glass or a shiny ceramic plate to dry (they will stick to paper, even waxed paper). Place the glass or ceramic plate in a cool, dry shady spot for several days. After the seeds are dry, they can be carefully removed from the glass or plate and final-dried before being stored in jars. Seeds can transmit diseases from parent plants to succeeding generations, lowering their productivity and even completely preventing them from producing. Simple treatments exist, however, for controlling many seed-borne diseases. Two such treatments available to home gardeners includefermentation and hot water baths, both used on wet seeds. Fermenting some wet seeds can dramatically improve their ability to sprout. Fermentation removes germination-inhibiting substances from seed coats, makes them more permeable to water, and also helps reduce or control seed-borne diseases (for healthier seedlings). Purposely fermenting wet seeds mimics the natural process of fermentation that occurs when ripe fruits are eaten by animals or drop to the ground and rot. When we intervene to keep seeds from fermenting naturally, it becomes necessary to ferment them artificially so they can complete their natural ripening cycle. 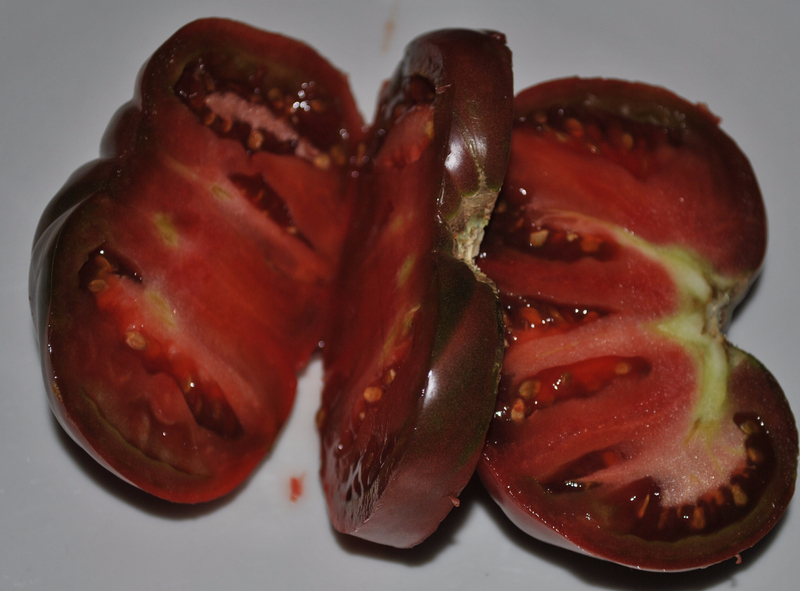 Fermentation is needed for tomato seeds (in order to remove a germination-inhibiting gel), and can also benefit Squash Family and eggplant seeds, though more care must be taken with these to avoid premature sprouting. Ferment Squash Family seeds for only a day-and-a-half or so, eggplants a little longer. To prepare seeds for fermenting, simply squeeze or scoop the seeds—together with the pulp that surrounds them—into a jar with a little water(about half as much water as seeds and pulp). There is no need to include more pulp than naturally comes with the seeds. Store this seed/pulp mixture in a warm place (75 to 85º F) for 1½ to 5 days (depending on the seed type and whether conditions are warmer or cooler). Fermentation will be evidenced by bubbling and/or by the formation of a white mold on the surface of the mixture. As soon as the bubbling or mold have been evident for a day or so, pour the mix into a bowl and clean according to the directions given earlier in the section Cleaning Wet Seeds. Watch closely, as seeds left fermenting too long (especially above 80º F or so) may germinate, ruining their chances for storage. Once the seeds start to ‘imbibe’ or swell due to taking on water, they will have begun their internal process of germination… by the time their tiny roots have begun to emerge, it is far too late to try and dry them for storage. Sprouted seeds can be planted immediately and grown out (depending on season), but they will die if they are dried out for storage once they have begun to germinate. Experience will tell you how long you can ferment seeds under your conditions before they begin to sprout. Eggplant and squash seeds germinate more readily than tomatoes, so they should only be fermented for a couple days or so. Squash seeds, particularly, are quick to germinate—sometimes even sprouting in well-ripened squashes while they are still on the vine! It’s not required to ferment squash or eggplant seeds, though it increases their germination rates and kills some seed-borne diseases. In general, when temperatures are kept between 75 and 80º F or so, fermenting is safe and beneficial and will be safely completed before seeds begin the process of germination. Another way to control some seed-borne diseases is to treat seeds for a short time in a hot water bath at high enough temperatures to kill disease pathogens (about 125º F). Treatment times and temperatures are specific to each species, and both must be precisely controlled in order for the treatment to be effective without killing the seeds. (1) “What Is An Heirloom.” Heirloom Vegetable and Flower Gardening Tips and Advice from Burpee.com. N.p., n.d. Web. 26 Aug. 2015. (2) “The Difference between Open-pollinated, Heirloom, and Hybrid Seeds.”RSS. N.p., n.d. Web. 26 Aug. 2015. (3) “Complete, Free Seed-Saving Instructions.” Seed Saving Handbook: Learn How to Save Seeds From Common Garden Vegetables—Free! N.p., n.d. Web. 26 Aug. 2015. (4) “Heirloom Pumpkin Varieties and Other Squash.” Mother Earth News. N.p., n.d. Web. 26 Aug. 2015. How to save squash seed. To save seed, allow the fruit to ripen on the vine until the plants begin to die. Choose only the finest specimens with the best varietal characteristics for seed. Harvest the fruit and store in a cool, dry place. Further aging in storage raises seed viability. The seeds may be removed when the fruit is required for cooking. Scrape out the seeds and wash them in a colander to remove the placenta, the stringy flesh surrounding the seeds. Spread the seeds on screens or paper towels to dry. Let them dry 2 to 3 weeks, then store in dated, airtight jars in a cool, dark closet.